PRODUCT DESCRIPTION: This package comes with 2 pre-assembled non-toxic traps. 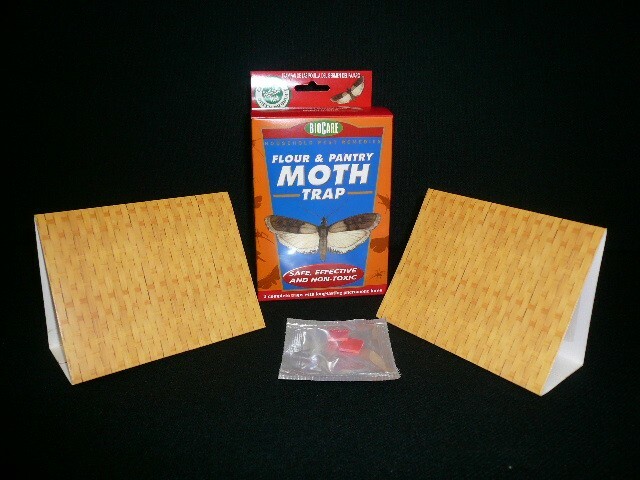 These traps will capture the moths in your home that contaminate flour, food, birdseed, and pet food. 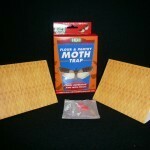 The Lure that comes with these traps will attract flour moths, meal moths, seed moths and most other food moths. Each trap will work up to three months under normal conditions. Traps are disposable and extremely effective. Completely safe around food products. WHERE TO USE IT: Anywhere these pests are prevalent. This includes pantries, closets, garages and living areas. Can be used throughout any home. RATE OF APPLICATION: One or two traps in a room. Be sure to keep plenty out and replace them as they fill. Though traps can last 2 months or more, it is not uncommon for local infestations to fill a trap in a week or two.